180g Heavy Vinyl Pressing. Glossy gatefold sleeve. Includes printed inner sleeves. Some copies have a white sticker on front cover. The copyright in the sound recordings owned by Björk Overseas Ltd. under licence to One Little Indian Records and is exclusively licensed to Polydor, Ltd. for the world excluding the UK, North America and Iceland. ℗ 2001 Björk Overseas Ltd/One Little Indian Ltd.
© 2001 Björk Overseas Ltd/One Little Indian Ltd.
Thomas Knak appears courtesy of Hobby Industries. Matthew Herbert appears courtesy of Magic and Accident. Matmos appear courtesy of Matador Records. © 1925, 1953 © 1991 by the trustees for the E.E. Cummings Trust. © 1976 by George James Firmage. from: Complete Poems: 1940-1962 by E.E. Cummings. Edited by George J. Firmage. Used by permission of Liverlight Publishing Corporation. [D3]: Contains a sample from Aero Deck, a track on the >Systemisch< album by Oval on Thrill Jockey Records. Thanks to Markus & Bettina. [D2]: Harmony Korine, copyright control. [B1, A2]: Thomas Knak, copyright control. [D1]: Martin Console, published by Flirt 99 Music Publishing. El Cortijo, San Pedro, Spain. Magic Shop, New York, USA. Thanks to Steve Rosenthal. Sear Sound, New York, USA. Thanks to Walter Sear. Thule Studios, Reykjavik, Iceland. Thanks to Finn, Snorry and Thule. Quad Studios, New York, USA. The Loft on Lafayette Street, New York, USA. Recorded at Air Lyndhurst Studios. Cocoon is extremely similar to Opiate - Insert from Opiate / Dub Tractor - Opiate / Dub Tractor Split. I'm literally shook. How about the pressing and sound quality? Mine is a little bit too noisy, I mean, the vinyl crackle. I guess mine is original press and I bought second hand so might be switched but the number is both TPLP101. Just submitted the reissue... See if it goes through. Bought my vinyl copy from her website a few months ago (it's not on there anymore) and I don't think my version is listed here. Its cat# is TPLP101, same as the original UK press and its on 2x180g (i think) LP. However the matrix numbers have DMM attached to them (eg TPLP101 A1 DMM) and it's not individually numbered like the 2008 ltd run. So I'm guessing this was a larger run pressed after 2008 using the DMM? I'd add it myself but I have no more info about this, other that the fact that it was mastered by Christian Wright ('christian @ abbey road' is scratched on the runout grooves of side D). According to me, there are two Björk eras musically speaking: the one from "Debut" to "Selmasongs" and the other one from "Vespertine" to the present day ("Biophilia" as I'm writing this comment). I assume that the experience of shooting the "Dancer In The Dark" movie has been some sort of an eye-opening for Björk because her music has never been the same after that. As a Björk fan I had to adapt to that change or stop listening to her new music, which I almost did when "Vespertine" came out. I know that to many fans this record is her best one, but to me this will always be the record that I never succeeded in getting into. It took a very long time to grow on me but not enough to become more than my least favorite Björk album. It has a lot to do with the way this record is produced. Björk allowed all those little "insect" sounds to flood the music. Former standard music structure began to crack, opening the way to a more personal way of singing, leaving apart easy tunes and finding a way to express deep-rooted emotions either with sounds and noises or the voice itself. 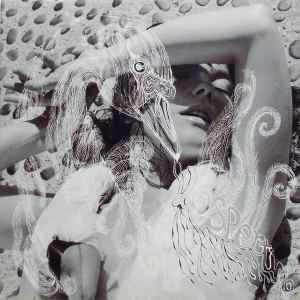 "Vespertine" might have come ahead of its time, a landmark from which Björk never stopped digging deeper to find new ways of expressing herself through the most various forms of music.